For those of us who have grown up with the Toy Story films, the characters are as real – if not more so – as the physical toys we actually played with. Of course, that’s down to Pixar’s storytelling, as they brought to life what every child wonders at some point or another – do my toys come to life when I’m not around? (The answer is yes, by the way, I’m pretty sure Toy Story started out as a documentary). Pixar perfectly gave voice to these toys, from Rex the timid T Rex to Hamm the piggybank – they were immediately original but ultimately relatable, and gave the films their distinct personalities. 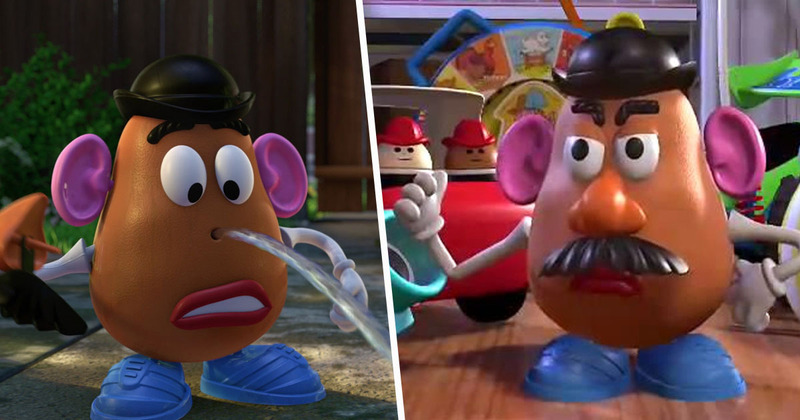 When the sad news came through of the death of Don Rickles, the legendary comedian and voice of Mr Potato Head, people naturally wondered what would become of his character in the Toy Story franchise. The fourth instalment had been announced in November 2014, and Rickles had signed on to be in it. Two and a half years later however, Rickles sadly died aged 90, and had not recorded any dialogue for the new film, as the script was still being written. Thankfully, in a recent interview with EW, the film’s director, Josh Cooley, confirmed that the late comedian’s voice will still appear in the film – by both permission and request of his family. Of course we loved Don obviously, and after he passed, his family contacted us and asked if there was any way that we could create a performance using the recordings that we had. Now, he signed to be in Toy Story 4. Unfortunately we did not get a chance to record him for the film. But we went through, jeez, 25 years of everything we didn’t use for Toy Story 1, 2, 3, the theme parks, the ice capades, the video games — everything that he’s recorded for Mr. Potato Head. And we were able to do that. And so I’m very honored that they asked us to do that, and I’m very honored that he’s in the film. Nobody can replace him. It’ll be great to see the old favourite characters line up alongside the new ones in the upcoming film. But, as both Tom Hanks and Tim Allen admitted they struggled to record their final lines, it seems like we’re in for a rollercoaster of emotion. Toy Story 4 will in UK cinemas from June 21.